Adding Sass to the ExpressionEngine Control Panel. You may be wondering, "What the heck is Sassy CP?" That certainly is a valid question. In short, Sassy CP takes our primary content management system of choice, ExpressionEngine, and makes it even better. Sassy CP is a way we're able to give back to the community. 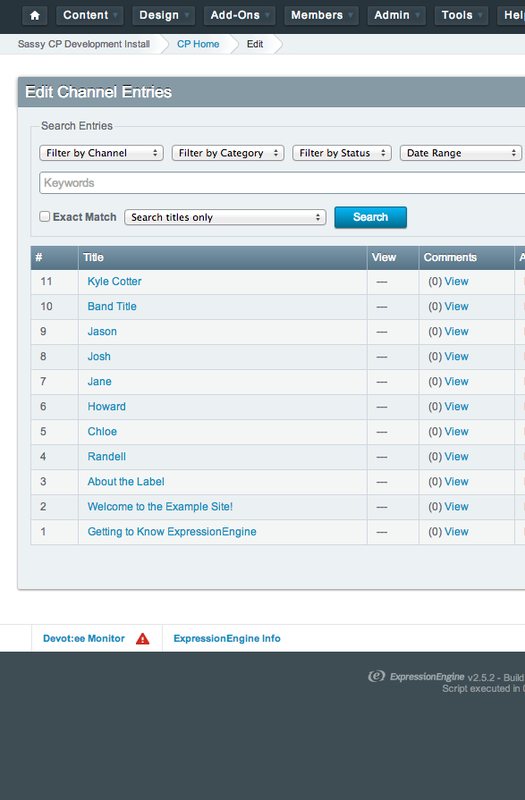 ExpressionEngine's Control Panel, is not perfect, we'll admit. That's where Sassy CP comes in. Sassy CP improves the user experience and creates a great interface for our clients to use. Not to mention the fact the technology used to re-style the control panel allows for easy customizations to be made. Why does Sassy CP need to exist? We believe our clients deserve the best experience in managing their content. 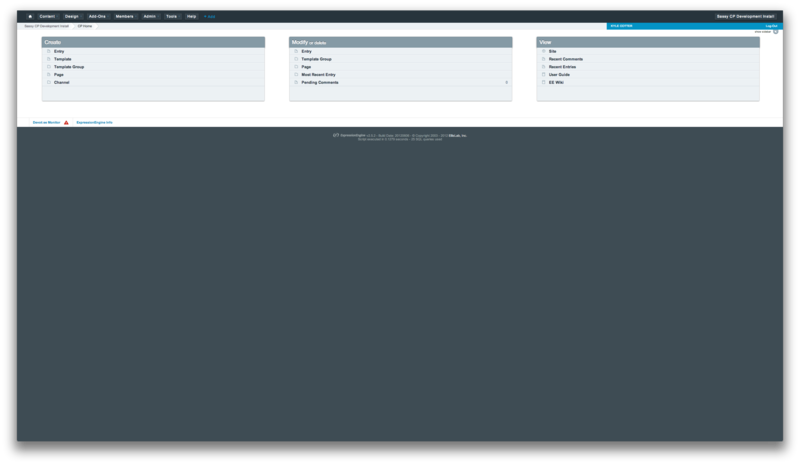 By default, ExpressionEngine comes with a theme full of, well, a color we wouldn't use for the majority of our projects. The first order of business for Sassy CP was to remove said color. 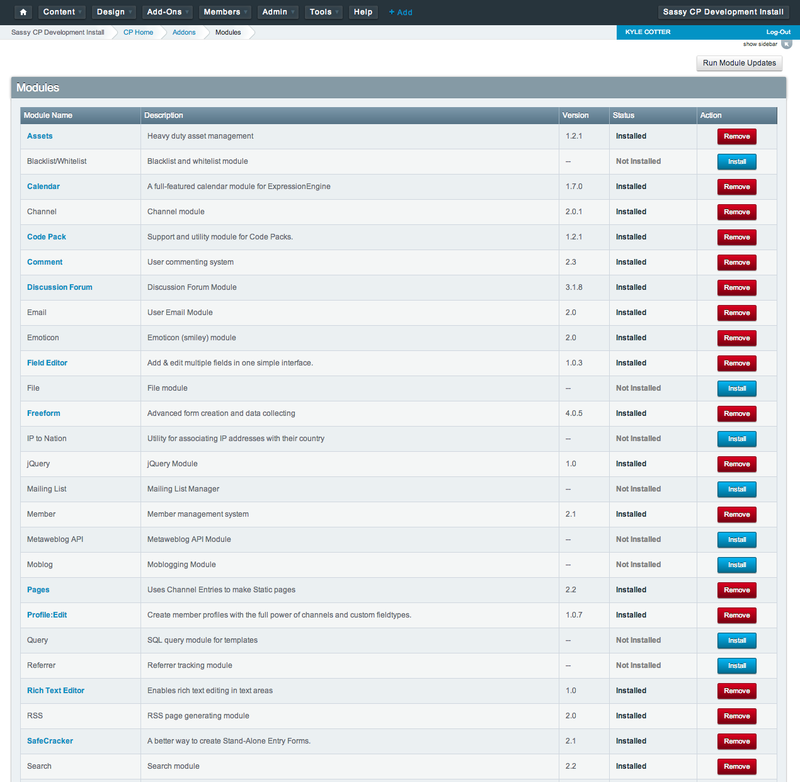 Along with changing the default color, we wanted to make actionable areas of the control panel stand out more. This led to us restyling the buttons, and other various elements to create a more streamlined experience. So, Sassy CP has already cleaned up various styles in the ExpressionEngine Control Panel. But, is that the only benefit to Sassy CP? No! Sassy CP is simply a set of CSS styles used to override the default styles, but the flexibility lies in the fact that it's built on top of the CSS preprocessor SASS. SASS allows us to efficiently craft CSS that is most effective in achieving the look we wanted to accomplish. SASS gives us the power to switch out the entire color scheme with ease. 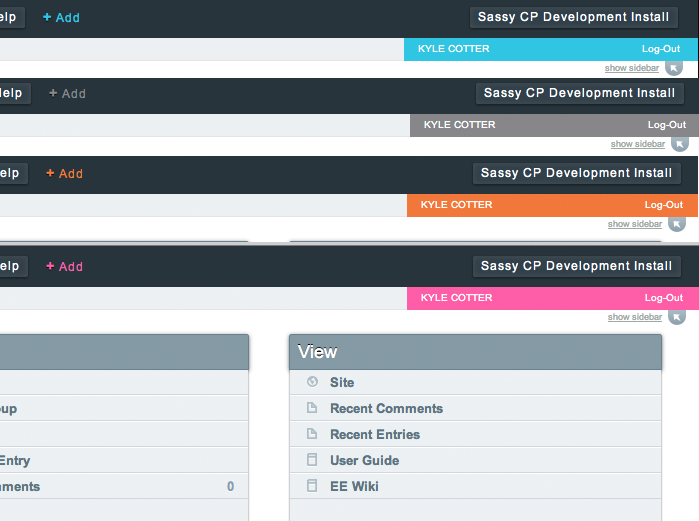 Developers can take Sassy CP and easily customize them for their own clients. "ExpressionEngine is like an ugly girlfriend with a great personality. You love her to death but you really wish she was even just a bit prettier. Sassy-CP helps in that department! (5 star rating on Devot:ee)" -- Todd D.
We're all for giving back. And that's what we think Sassy CP does. The ExpressionEngine community is one of a kind, so our ability to contribute to it was a must. We think we filled a void with Sassy CP. 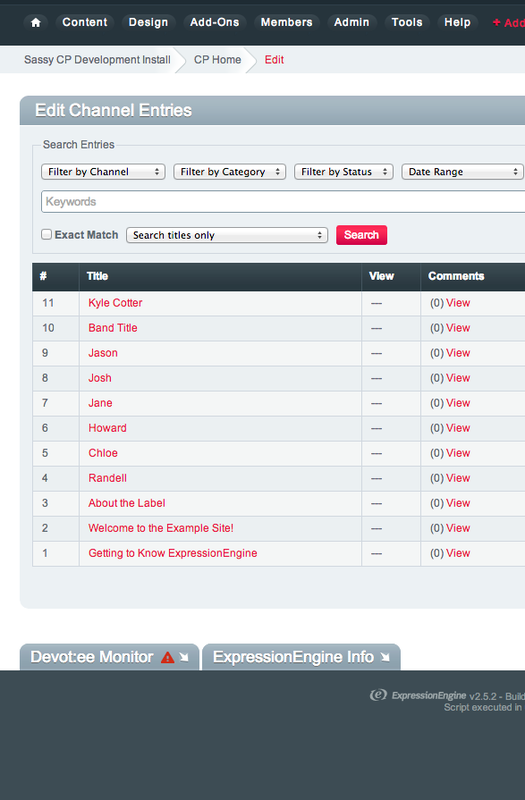 Over 20 people have liked Sassy CP on ExpressionEngine add-on resource Devot:ee. Sassy CP is a community resource. Cotter Interactive is happy to share.